Here is my block for February. 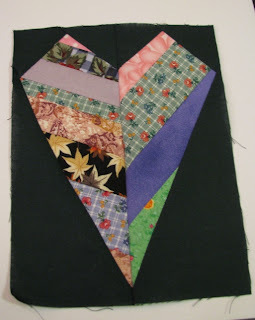 Don’t know if I will get around to doing more-too many quilts in the fire (or something like that). Everyone’s hearts look great! One chance is all you need, right? It's a great looking heart. I've added your block to the list. Our new total is 70 hearts. Beautiful heart. I still have to make one!